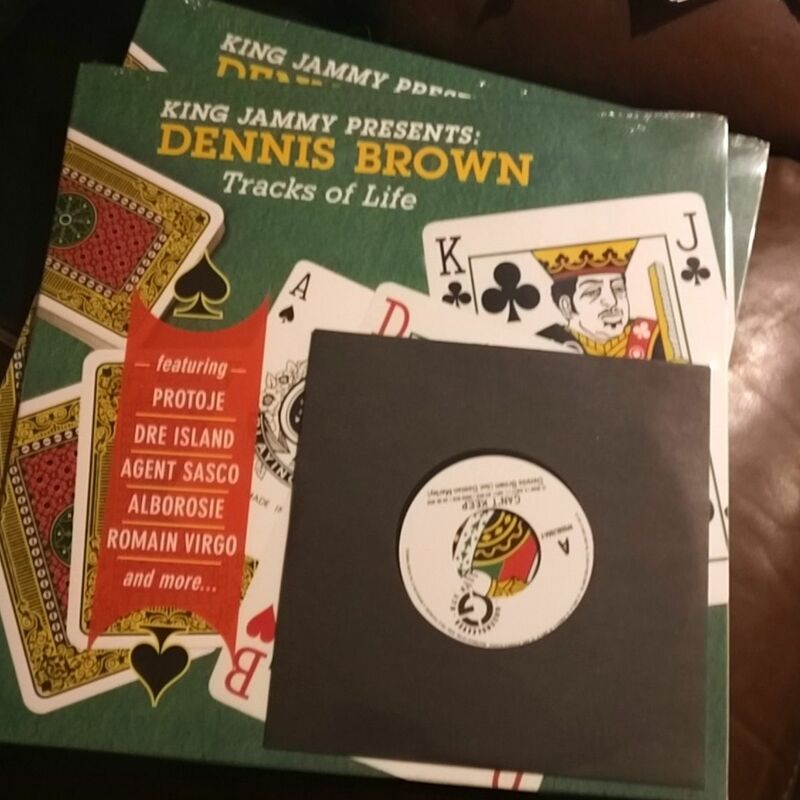 Dennis Brown Tracks of Life brings contemporary voices to build on the work of two reggae icons - Dennis Brown and King Jammy. The album draws largely on studio recordings that Jammy produced for Dennis Brown in 1984-1985, which would become the Greensleeves LP Slow Down. For Tracks of Life, King Jammy went back to the Slow Down master tapes (and several from other projects) and brought veteran and new generation reggae and dancehall stars to the studio, including Damian "Jr. Gong" Marley, Alborosie, Busy Signal, Bounty Killer & Dawn Penn, Protoje, Romain Virgo, Agent Sasco, Josey Wales, and newcomers Aza Lineage, Jesse Royal, and Projexx, among others. The vinyl release includes an LP packaged with a 7-inch 45 single of "Can't Keep" by Damian 'Jr. Gong' Marley, an update of Dennis Brown's "Can't Keep A Good Man Down."